Waterfront condos in Calgary are found riverside in the highly desirable downtown community of Eau Claire. Developed by Anthem Properties, the first two Waterfront condo towers were completed in 2010 and 2012 (shown above). Today, more phases have been finished or are underway, with The Outlook and Parkside being the latest. Begin your search of Waterfront condos for sale in Calgary below. If you have questions about these listings or would like to set up a viewing, contact your Waterfront real estate expert at 403-370-4180 and get the best advice today! Waterfront condos in Calgary are a popular destination for urbanites looking to live, work and play in downtown. 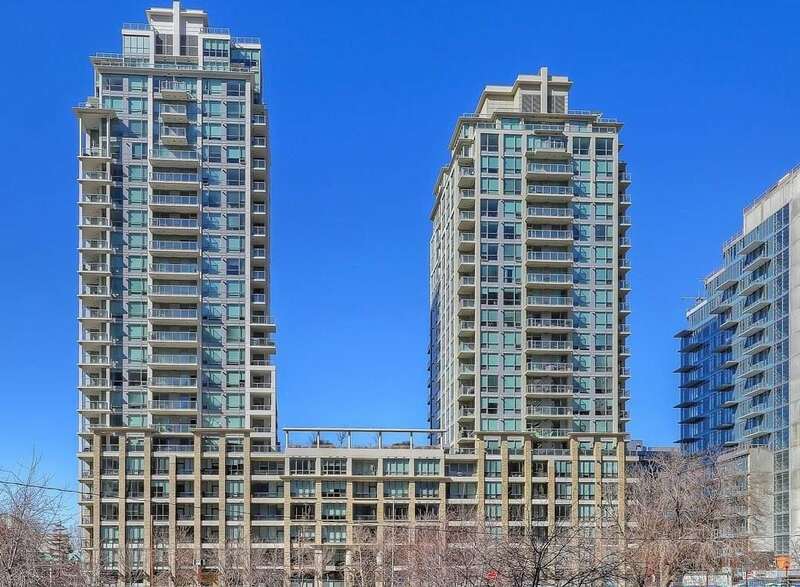 The riverside location provides quick-and-easy access on foot to nearly all of downtown via RiverWalk such as St. Patrick’s Island, Chinatown, Downtown West End, East Village and Inglewood. With direct access to the +15 indoor walkway network a block to the south, getting to and from other parts of downtown in the winter time is also convenient – and warm. Waterfront condominiums were built in multiple phases. The first consisted of 3 high-rise towers including a 25-floor and 22-floor tower completed in 2010 and 2012. The third tower is on the north side of the complex and was completed in 2015. 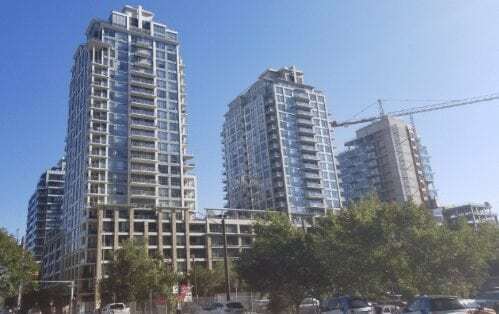 Today, there’s newer Waterfront condos for sale at the Parkside phase of development, consisting of an 18-floor tower, 3 mid-rises and 3 low-rises. One of the 4-floor low-rises is called The Outlook at Waterfront and has been finished for a while. Inside Waterfront condos in Calgary you’ll find high-end finishings throughout. While interior designs vary between buildings, they are all built to a high standard and use quality materials in construction. 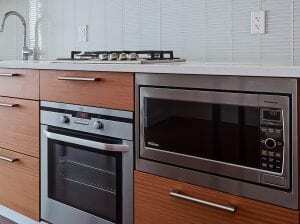 An example of the kitchen finishings in one of the original two condo towers at Waterfront is seen above. As a top-producing REMAX real estate agent in Canada (2013, 2014, 2015h) and REALTOR® in Calgary, I promise to provide you with the best service and advice the industry has to offer while guiding you every step of the way through your next condo transaction.